Over the past three decades, Wolfram has established itself as a powerhouse of technical innovation and a unique organization respected and admired for its products, people and long-term strategic vision. Building on its technology and achievements, Wolfram has today reached a position of remarkable opportunity, and is poised for major growth and transformation. At Wolfram, we invent every day. We're committed to being ahead and to defining new directions that others will follow. We're always working with the latest technologies—as well as creating new ones of our own. As leaders in science and technology, we're continually working with other top companies, organizations and researchers around the world. At Wolfram, we build products that make a difference in the world. Mathematica has made possible major discoveries and inventions across a tremendous range of fields and industries, and has been central to educating several generations of technical students. And Wolfram|Alpha provides instant access to computational knowledge to anyone, anytime. Wolfram has a long history of building deep products that last. Mathematica is practically unique in the computer industry for being a product that's been continually growing and vital for over 30 years. 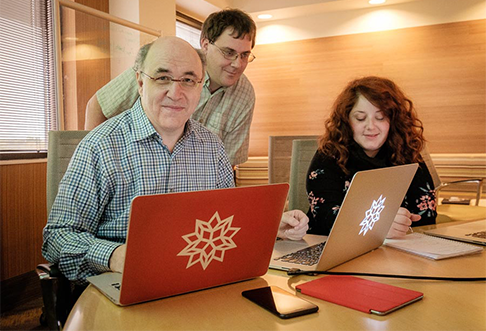 When you work at Wolfram, you're building for posterity—making contributions to products and projects that will endure. At Wolfram, we don't just get things done—we get them done right. We solve technical, creative and business problems in the best possible ways. We are committed to doing projects and creating products that we can be proud of, that will delight our customers and that will have the best possible impact on the world. Wolfram has the energy of a startup but the stability of a long-established and successful company. We're always doing new things that provide new and exciting opportunities for our employees. But we never have to start from scratch: we've got over three decades of technology and corporate experience to build on.